Tin Shingle is your PR Campaign Partner and we've got your roadmap for what ideas to pitch to the media for this month. Listen to this live class to get some of those ideas and some gumption to carry them out. We take a deep dive into Tin Shingle’s 2019 Editorial Collection. Learn about the broad themes the print magazines are working on now. Men’s Journal: The Perfect Summer Issue. A guide to living your best Summer ever from A to Z (this one's for you, Fluid Running! Can we say..."Best New Backyard Pool Workout?" Motivation Minute: The kick-off to every TuneUp is a Motivation Minute, and today's is dedicated as your New Year's Day Pep Talk. The actual New Year's Day cast a bit of The Sunday's vibe for some of us, after the excitement of the coming change delivered us on a day of: "Ok, now what? What direction to go?" It's a big thing to stare at a blank slate after feeling such momentum. This will be discussed quickly in the Motivation Minute. Special Focus: Innovator Introspection. Several magazines are having their "Innovators" issue. Are you an innovator? Sure you are. Knowing how you are an innovator in your field is key to pitching yourself or your business into this theme. We will discuss so that you can have talking points at the ready for this type of email pitch to the media. During this Training TuneUp, we guide you through your PR campaign for "long lead" pitches to print magazines, "short lead" pitching to regional magazines, and "right now" leads that you can capitalize on from news trends. In December, the magazines are working on Spring issues. That means Organizing, Spring Fashion, Taxes, etc. We have a few Editorial Calendar themes to share with you from Rachael Ray, Martha Stewart, Departures, Money, and others. These Editorial Calendar themes are from Tin Shingle's collection of Editorial Calendars from the magazines themselves, available in our Database. Plus, this TuneUp includes a special focus on how to "cold pitch" which is when you don't rely on an Editorial Calendar, but you pitch an editor or a writer with a story angle for an idea that might work for a projected time. It's November, and you're wishing to be featured and talked about in the Holiday issues of magazines, right? And you learned in this "Ultimate Guide To Pitching Holiday Gift Guides" that your chance to pitch the Holiday magazines was in July, right? And that your next chance for a Gift Guide is Valentine's Day, which is happening in November, right (hot tip: listen to this Training TuneUp on how to pitch Valentine's Day in November)? This is your chance to not miss the boat again! 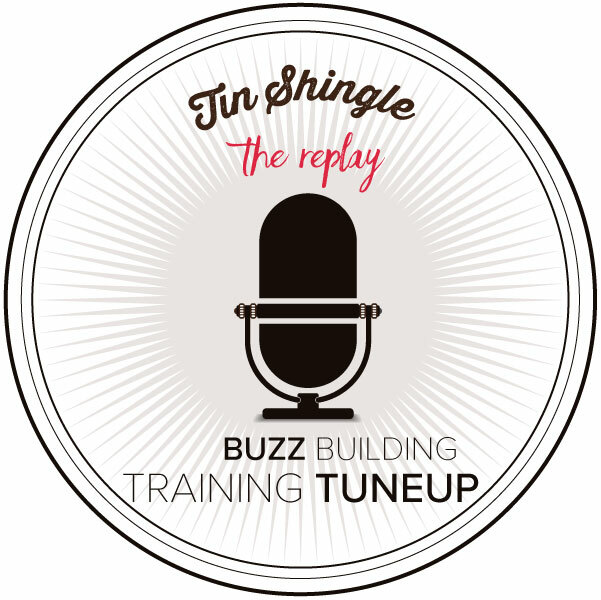 Set the stage and plant the seeds in November on those amazing story ideas during this monthly Training TuneUp from Tin Shingle: What To Pitch This Month: November. Several years ago, we started this "What To Pitch" series in November because we noticed that people started unplugging from their PR efforts during the Winter holidays, and the Summer season. These are the two peak seasons for pitching! Ideas: The usual set of ideas for what print magazines are looking for now (aka Long Lead), then blogs and websites (Short Lead), and hot news trends you can piggy back on for quickie articles at your website or others, and your social media. During this TuneUp, we dive into how you are going to get real PR right now - in October 2018. Not PR that you wait to receive a PR lead for. Not a random mention about you that might not have to do with your business. We're talking really relevant PR that gives your business validation. That's right - YOU have the power to get featured or quoted in a magazine or newspaper, or to get booked on TV. You don't need to wait for a PR lead from a journalist already working on a story. You can "cold pitch" the media with an amazing angle of why to feature your business right now to their readers. During this TuneUp, we are going to revisit what it really means to pitch the media, and why you don't need to wait for an opportunity to present itself - if it ever does! This media planning Training TuneUp will get in your PR Zone! Your host and Tin Shingle's owner Katie is going to give you lots of ideas, and will help you plan out how to execute them to get exposure! New Sales Tax for Online Sales - Tax Time! MAJOR HINT! Holiday Gift Guide Pitching starts now! If you want to get into those winter holiday issues, now is your time!! Tin Shingle is your PR Campaign Partner in crime, and we've got your roadmap for what ideas to pitch to the media for this month. You don't need to be a professional PR person. You need to be a go-getter with fresh ideas. Listen to this live class to get some of those ideas and some gumption to carry them out. We will cover what you can be focusing in on June, and what themes you can be pitching now. Spring seems to have sprung but the time for sharing your summer ideas and products with magazines has definitely sailed. Not to worry though, magazines are still looking to feature neat products and eye catching brands. YOU can get featured in your favorite magazine!! It does take creativity, determination, and a healthy dose of consistency but, Tin Shingle is here to support you, supplying the gumption you need! In this class, a favorite of our listeners, we map out your PR campaign and fill your planner with ideas, tips, and tools to help you get press. Magazines work 3 to 6 months in advance. During this class, we share a live look into Tin Shingle's Editorial Calendar Database. (Available to Level Four Members) This treasure chest of ideas teach you what magazines want to hear about and when they want to hear it. It is published by editors themselves, giving you the upper hand when pitching about your biz and initiatives. Also in this class, we discuss other ways you can spread the word about what you do to blogs, websites, TV, and even in your own social media streams. This class truly is a pot of gold! Every month Tin Shingle plans out your month, sharing inside leads from our database of Editorial Calendars as well as an overview of what magazines are looking for this month. In this class, we discuss 3 time sensitive ways to pitch the media this month. A big part of getting PR is emailing the right editor about it at the right time. These editors and writers work in an alternate universe. They work in the future. When it's April, they are literally on a beach testing 6 Ways to Sooth a Sunburn to share for a summer fun issue. We show where the magazines are in their cycles, according to their Editorial Calendars that they make public. We go out and get them and make them available to All Access Members of Tin Shingle (see our full collection here). Lead Time: 3-6 months in advance. If you want to make it into the big glossy magazines, you need to pitch them with ideas 3-6 months in advance. This class explores ideas that will be eligible if you pitch them in April, as they will pertain to July, August, and September. Producers and bloggers are always looking for ideas and visuals. Television needs to show a person delivering expertise or a great story, and bloggers need to dazzle their readers with pictures. Bloggers can have shorter lead time to get a blog up, but more and more, they do require advance notice. Readers of social media, however, are responding right now. You want to get in front of them. Additionally, if a major movement is happening in the news, you want to ride that wave with an article of your own published on your own blog. Normally the story angle deadlines are available to our Media Contacts and Editorial Calendar Level 4 Membership. But during this PR Planning class series, we share with you some of these deadlines. Get in the class today and you'll hear them, and/or activate your Level 4 Membership to access these and more any time you want. Newsflash: If you dream of your business being featured in a magazine, you can make this happen - on your own. All you need to do is email them with an idea. Ok, there's more to it than that, (like a really effective Subject Line, a Great Followup, and a Killer Idea), but the real trick is knowing the right time to pitch the right article angle. Do you want more ideas like this? Listen to this Online Class, Tin Shignle's monthly PR Planning, which tells you what to be pitching in February if you want PR in May or June. Normally the story angle deadlines are available to our Media Contacts and Editorial Calendar Level 4 Membership only. But during this PR Planning class series, we share with you some of these deadlines. Get in the class today and you'll hear them, and/or activate your Level 4 Membership level to access these and more any time you want. Yup, we're in the time of pitching for the next Gift Guide - Mother's Day. It's happening now. Are you emailing magazines about it? You will be after you join us tomorrow. During the month of December, the print media is long done with compiling Christmas Gift Guides (they did that in October). In December, the glossy magazines are working on Valentine’s Day Gift Guides! And other February and March related content. Some magazines are even working on April! Learn more about what you should be emailing the media about during December. Short Lead PR Ideas: What's trending right now and how you can use social media - or even last minute pitches - to create buzz about your biz during the month of December. Long Leads PR Ideas: What print magazines are working on for 2018 that you need to be pitching now. Editorial Calendars: Get a sneak peek into Tin Shingle's private member-only database which contains Editorial Calendars from editors at glossy print magazines. These give the public clues about what they are working on and how you can get their attention with your pitches. Prep your PR pitching campaigns AND blog/social media content planning. Pump you with relevant story ideas, topics, and themes to use now! Editorial Calendars: During this TuneUp you get a sneak peek into Tin Shingle's private member-only database which contains editorial calendars from editors at glossy print magazines.